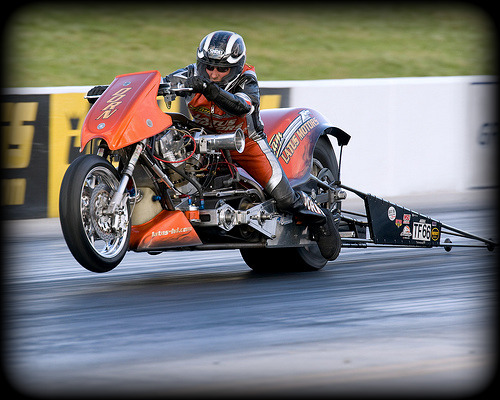 Steve Dorn from Milwaukie, OR, riding for Team Latus Motors Harley-Davidson, captured the ultimate title of Screamin’ Eagle National Top Fuel Champion. year going into the season finals in second place, I felt it was going to be even more of a challenge. We did not qualify as well as we wanted to, but we were able to step it up on Sunday when it mattered the most. We did not need to win the race to get the championship-we had it by just going one more round than turner, who went out in the semis-but winning made for a very complete season and a great way to end the year.